I began to think more carefully about why Sartre might have been photographed. Cartier-Bresson took the portrait in 1946, less than a year since Sartre had begun publishing Les Temps modernes, a cultural review which marked Sartre’s transition from academic philosopher to politically engaged intellectual and activist. 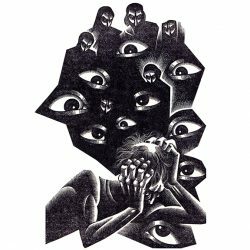 Sartre had recently become an altogether more subversive figure in the landscape of French public life at the time of the picture. Photography is historically implicated in the technology of power-knowledge, of which the procedures of evidence are a part and the procedures of prediction another. The Italian criminologist, Cesare Lombroso, forwarded the idea that criminals may be distinguished by certain shared physiognomic traits. Francis Galton tried to define these traits by the method of composite photography. Is there any reason why this theory would not have been applied to seditious intellectuals? Let me put this in perspective. 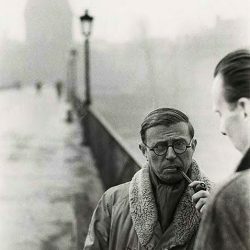 The Cold War was gearing up when Cartier-Bresson took this photo of Sartre. Having embraced Marxism, he certainly wouldn’t have been above the suspicions of the state. At the very least, the authorities would have kept tabs on him. The most efficient way to do this was through portrait photography, an art which at its best, according to Bill Brandt, achieves “a profound likeness, which physically and morally predicts the subject’s entire future”. A well-made portrait might show whether a subversive intellectual was going to commit an act of treason at some point in the future. So, even if Jean-Paul Sartre had wanted to commit an act of treason, he wouldn’t have been able to. This champion of the ultimate free-will lived to a full age only because his face showed a pre-determined life without treason. His ‘bad faith’ was outsourced. 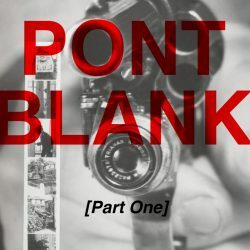 “Photography is an inventory of mortality,” Sontag wrote. “To photograph someone is a sublimated murder.” Small wonder, then, Cartier-Bresson compared the photographer to the archer. And thinking now about the portrait Cartier-Bresson took of Barthes, it becomes increasingly difficult to believe there was anything accidental about his fatal collision with a milk van. “Il est mort,” Barthes wrote about the photographic subject just months before his death. “Il va mourir.” Barthes had clearly edged too close to home. They’re all dead now, of course. Those haunted specters on the bridge; the painter and the painter’s sitter; the photographers and the photographed. They have all become equally, entirely posthumous. It is left to posterity to remember them. I hope and expect it to do so with the bitterness of a relative eternally betrayed. This is the story of how I came to be profoundly disillusioned with the modernist photographic tradition. Through careful study of their work, it came to my attention that Eugène Atget, André Kertész, Brassaï, Robert Doisneau, and Henri Cartier-Bresson, men whom I had once taken for heroes, were involved in the systematic corruption of the tradition they had helped found.